The times are accurate to within 10 minutes. My take on this is that chaos theory tells us that tiny causes can have huge effects, such as butterflies flapping wings in the Himalayas can cause a hurricane on the other side of the world. 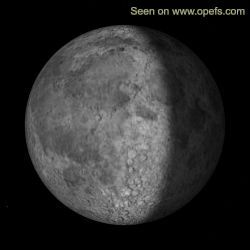 Why shouldn't the moon then influence (cause) a quake on Earth, especially when it stands precisely over the spot where a magma chamber is weakened to the point of bursting anyways? The strictly scientific view that earthquakes should then always happen more often in places over which the moon passes would be a simple mechanistic one, without taking into account chaos theory. 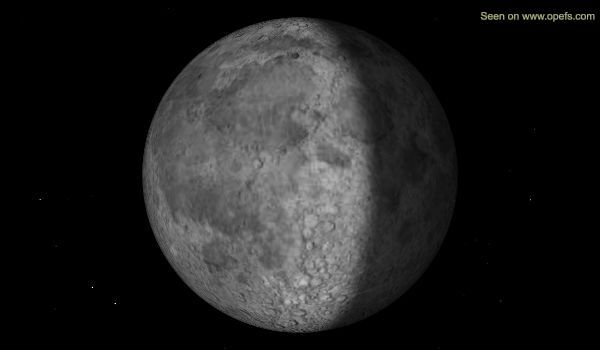 This picture shows the current phase of the Moon. 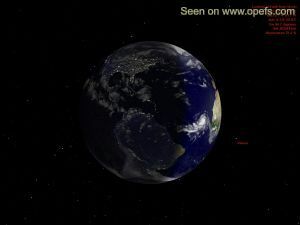 The wandering Moon image, which is present on most maps of this website, indicates the position of the Moons gravity center on Earth (sublunar point), otherwise known as "tide-producing center". From this perspective it is possible to watch the progress of any solar eclipse as it progresses across the Earth. A bright yellow dot marks the position of the sun (viewable before and after each full moon). (To see all details enlarge to full-screen). Here are several pictures of the current moonphase which you can use on your website. All pictures on this page can be linked to. The pictures are updated every 3 hours. A great thanks goes to all the programmers and volunteers around the globe whose work makes this page possible, especially Hari Nair of http://xplanet.sourceforge.net/, Hans Ecke and Michael Dear. All rights acknowledged.